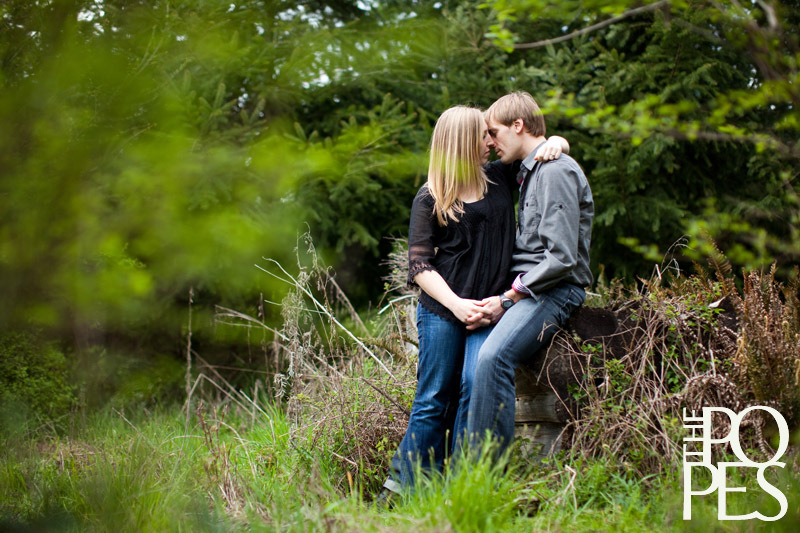 We photographed Wes & Brittany’s engagement session down in their hometown of Olympia, WA. After grabbing lunch at one of their favorite waterfront restaurants, we headed to Brittany’s parents’ home for a little tour. 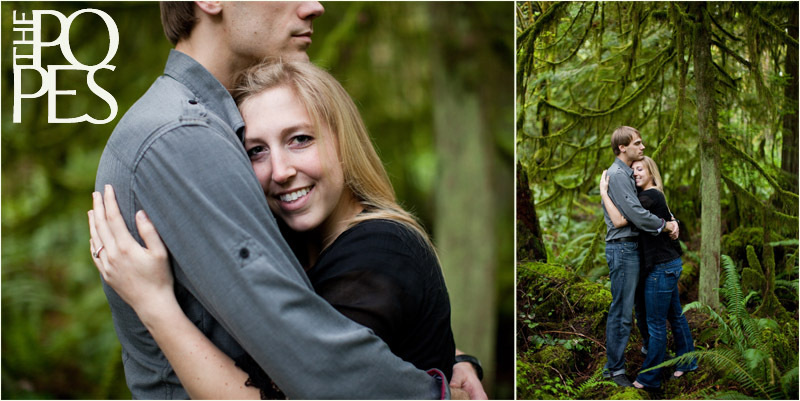 Brittany grew up in a gorgeous home right on the Puget Sound, and it is going to be perfect backdrop for their outdoor garden wedding this summer. For their session, we started off by taking a few photos down by the water, then we headed over to her grandparents home for a few photos in the timberland surrounding their property. When we finished, we started packing up and were surprised by an invite to stay for dinner and get to know Wes & Brittany’s families! Since we are total suckers for good pizza, great wine, and even better conversation, we couldn’t resist! 😉 It truly was the perfect end to a perfect day, and we hope you enjoy these engagement photos! oh my my how I love this set. 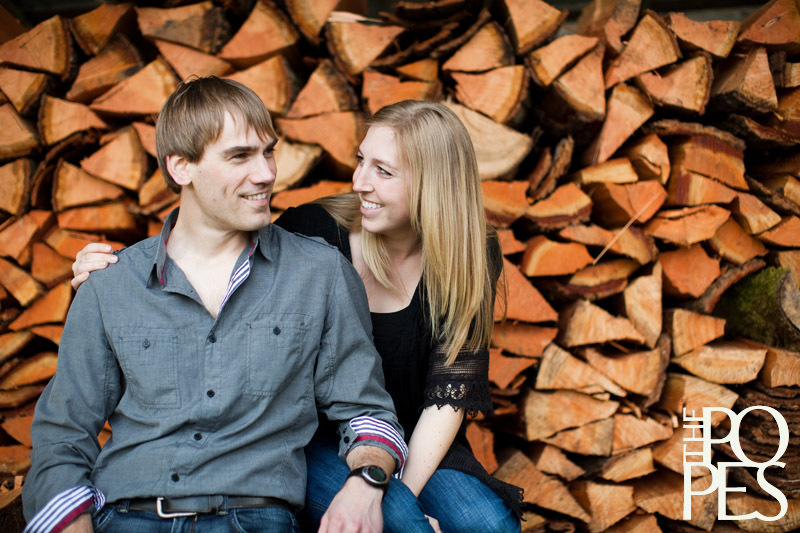 looove that wood pile background! Well done! I love the mossy forest location. The boots of course are rad and the overall vibe is great. Very nice! 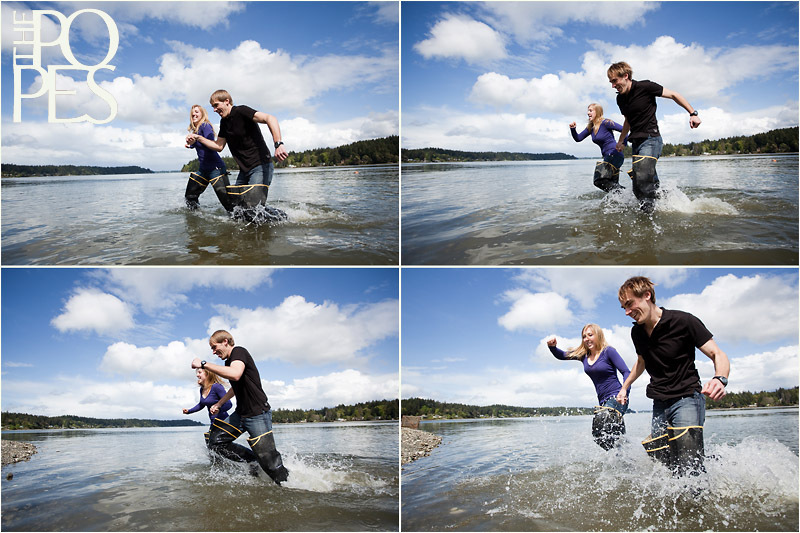 Love the boot and running in the water shots. Great work! Great session--so PacNW! 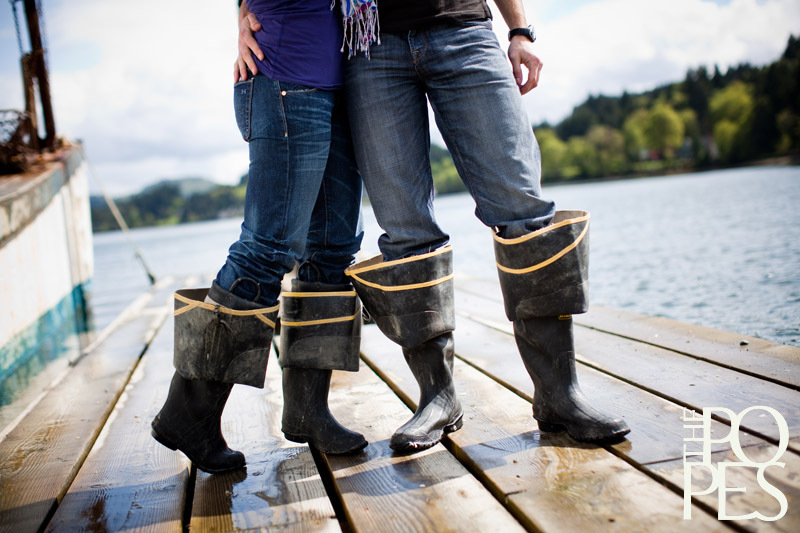 LOVE the waders. So cute!! Gorgeous pictures! I love all of them. Gorgeous! I am so pleased to see that you captured their personalities and love for each other...from the mother of the bride. What beautiful pictures! I loved all of them. I love these photos! Both of you look amazing and down to earth in the beautiful NW. I'm so happy for you two. 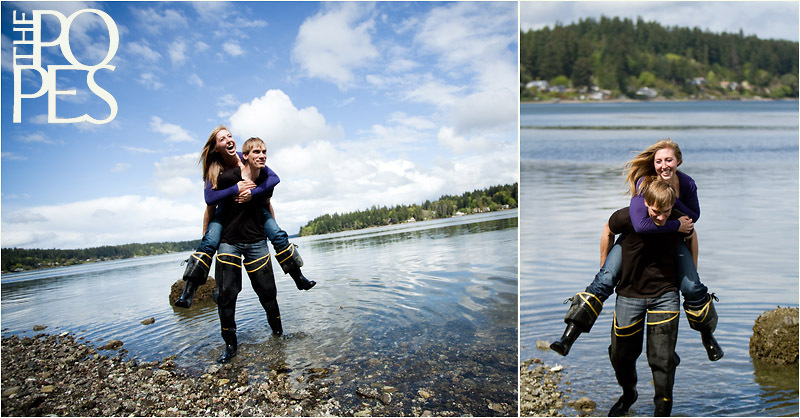 These are absoulutely the best "engagement" pictures I've ever seen (including my own sons'!). 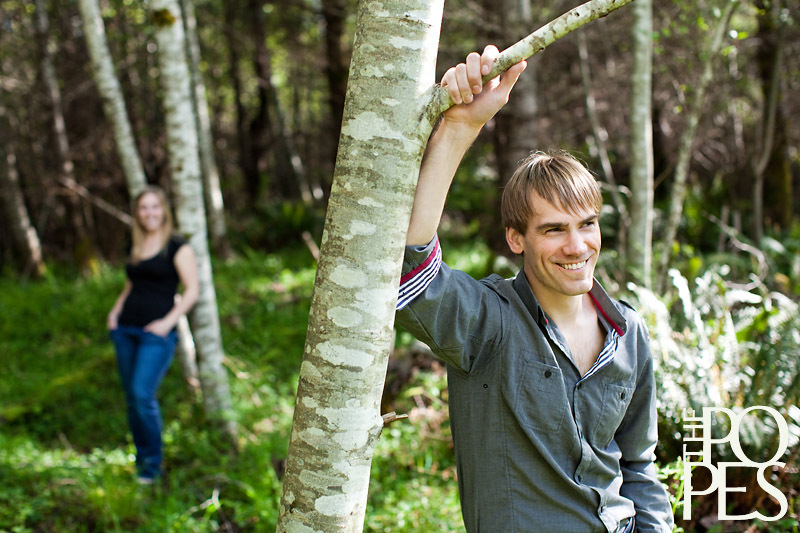 Beautiful, refeshing to see a couple in love and being natural. Gail, Michaela, & Kay~ I think my favorite part of these photos is that they truly feel like Wes & Brittany. Their beautiful personalities shone throughout the entire session and it was so much fun to capture the love that they share.